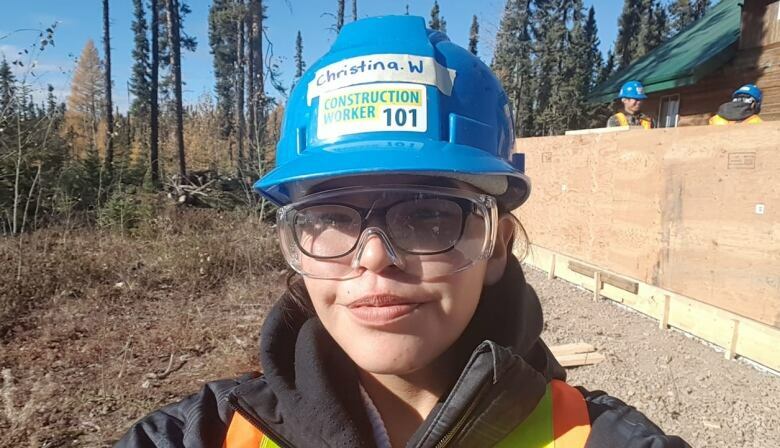 High school students from the Montreal Lake Cree Nation are learning practical skills and earning youth apprenticeship hours by building a greenhouse in their community. 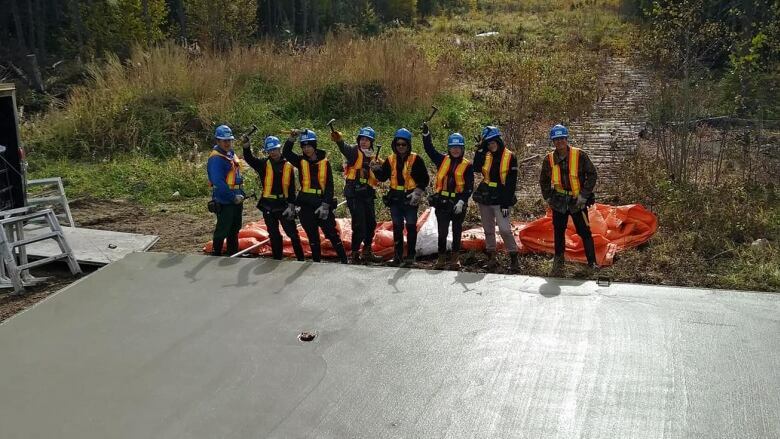 Eight high school students from the Montreal Lake Cree Nation are constructing an eco-friendly greenhouse in their community thanks to an agreement between Your Choice Homes and the Federation of Sovereign Indigenous Nations (FSIN). Christina Waditaka, one of the students participating in the greenhouse build, said the program has been a great opportunity. "I love building. I think I've found something that I really enjoy," Waditaka said. She said she already has some basic construction experience, but wanted to challenge herself more. Now she wants to turn her interest in trades into a career. "I actually want to become a construction worker and if I don't get that opportunity then I want to move to heavy equipment or electrical," Waditaka said. "I really enjoy it." Waditaka is finishing up her last year of high school. She hopes to study trades at MacEwan University in Edmonton. "We turn job sites into classrooms and blueprints into curriculums," said Jay Noel, a community partner with Your Choice. Noel previously worked with the Fishing Lake First Nation to build tiny homes on that reserve east of Saskatoon. He said teaching youths how to build is also about life skills and building confidence with those who participate. "You see the kids get on the power tools and they're pretty intimidated, once they start feeling that comfort level and that control, you see it's empowerment and it's a confidence builder," Noel said. Waditaka said working at the job site helped her overcome a fear of heights. Her previous experience had never put her in a position to work at 12 to 14 feet in the air, something she's doing now. Noel said the construction project also benefits the community because it makes it possible for local youths to put their skills to use when chief and council put out tenders for projects. Participants are also taught financial responsibility, according to Noel. He said at the end of their work period youths are paid. If they were late, or missed a day of work, or tools were missing at the end of the job it would be reflected on their final paycheque. Your Choice Homes Inc. signed a Memorandum of Understanding with the Federation of Sovereign Indigenous Nations (FSIN) last year. FSIN Vice Chief David Pratt said working with the contractor provides more than knowledge about construction and solar energy. "They're learning how to become leaders and role models for their younger brothers and sisters," Pratt said. "We need to continue to acknowledge and support our youth as much as we can to build them up." Noel said his next stop will be near Rocky Mountain House, Alberta, where he and some youths will help construct an accessible home for an elder in that community. Waditaka said she'd like to see more construction projects involving youths from Montreal Lake. "[Your Choice] was talking about their tiny homes in Alberta, we saw some pictures and they're pretty cute," Waditaka said. "We're actually talking about building one of those but we need more materials."